Popi's Chicharon is my new food discovery. I have been hearing raves about it from my fellow Bel-Air neighbors and how good it tastes. I could not care less because I do not eat chicharon. Everybody knows that or perhaps not but it really is not my favorite food. I was in the park today doing some errands when I saw Popi in Tricia's office. He had several packs of chicharon. I was curious so I bought a pack thinking of serving it to my family for our weekly Saturday lunch. And then.... I had a moral dilema. I loved it so much that I do not want to share it with my family. But how can they know how spectacular the chicharon is?!?!?! I was talking to my Ate about it on the phone and told her I will let her try 1 piece. I do not even know how to do it without the other members of my family see it. 1. It melts in your mouth.... shatters and bursts! 2. It is very well seasoned. 3. Hahahaha this is my favorite... even people wearing false teeth can bite into it!!! 4. The fat! Did I mention already about the fat?!?!?! You can take a spoon and scoop it out and eat it as is! 5. You can eat it with rice! You can dip it in vinegar or Mang Tomas or you can pour kare kare sauce on it. OMG! I need another chicharon fix! The Thai dip that I love to cook?!?! It is best served with chicharon!!! Hihihihihi I am imagining already all my senior citizen friends will love it! I want to give them all chicharon but I am afraid it will cause their immediate death! As I've mentioned in my IG post, it is worth dying for! I'm serious about it. 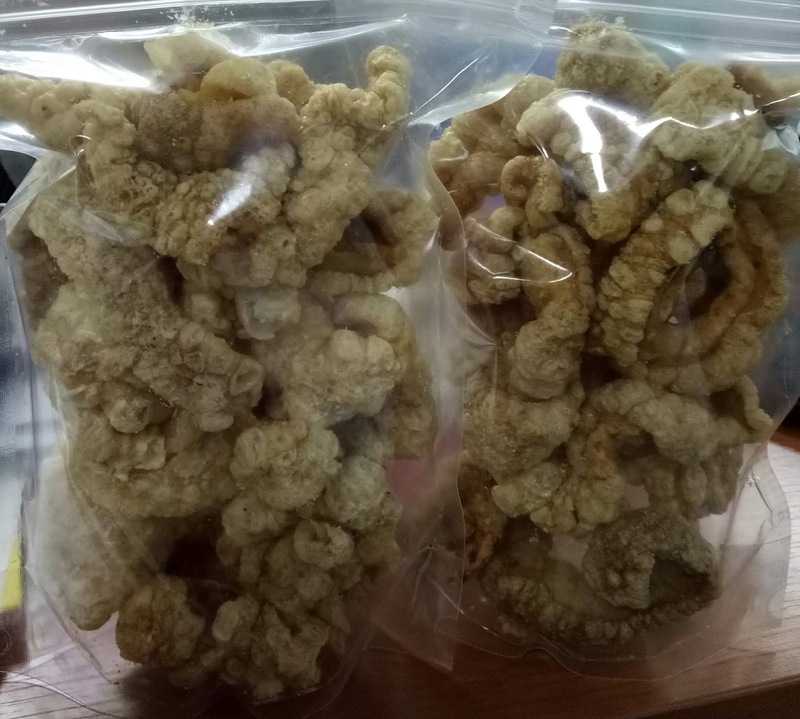 If you eat the chicharon and die because of it instantly, I will call it a happy death. I am sharing with you my chicharon story because I want you, my readers to try it, as well! I am promoting it because I want you to experience what I experienced. Of course, taste is subjective. What is good and delicious to me, might not be the same for others. 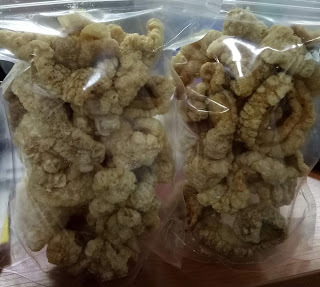 If you want to try Popi's Chicharon, send me an email at liasfoodjourney@gmail.com and we'll see how I can connect you with Popi. Trust me... try it at least once. Hahahaha you will want more and more after one pack. 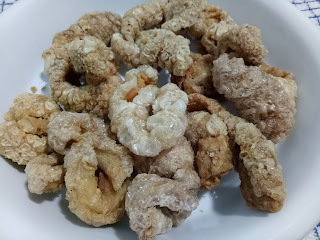 I am just a fan of Popi's chicharon and hope you become a convert also like me.